Yesterday passed and it was the 20th anniversary of the Super Nintendo! So today I wanted to do something special to celebrate. How, you ask? By doing what every other site does to get views and easy content-- a top ten list! Hey, I'm being honest at least! It's my favorite top ten video games for the Super Nintendo. Let's hit it before we quit it, mother-- watch your mouth! Starting off our countdown is one of the first racers for the Super Nintendo, Super Mario Kart. You raced cups featuring five races each, each with five laps. 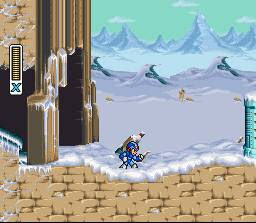 Collecting coins made you go faster, and using items caused havoc to anyone that got in your item's way. 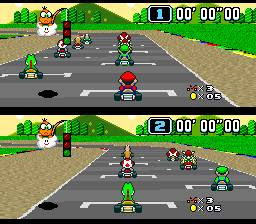 The game supported split-screen multi-player for two players to race for the gold simultaneously. 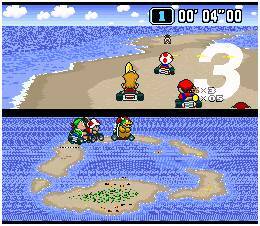 With three difficulties and a wide assortment of tracks to burn rubber on, Super Mario Kart was the one that started it all. No blue shells here, just lots of rubber-band AI. This RPG was a fun collaboration between Capcom and Squaresoft. 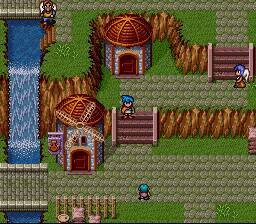 You played as Ryu who is part of a dragon lineage. Your village has been burnt down to a crisp, and your sister is missing. It's time to take down the Dark Dragon's leaders once and for all. 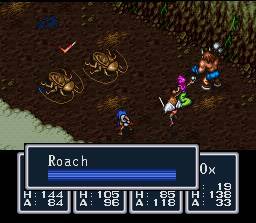 Sporting a party of up to four characters with the cast being of different upbringings and species, Breath of Fire is a phenomenal RPG that was ported to the Game Boy Advance as was its sequel, Breath of Fire II (that was a stretch). Whether you want a fish, ox, or bandit in your party, the choices were yours. Take everything you thought you knew about Mega Man, and throw it out of the window. This is Mega Man X, the wall-climbing, X-buster-charging, capsule-power-getting reploid set off to take down the sinister Sigma. But he wouldn't be alone. He'd have the ever-popular Zero on his side. 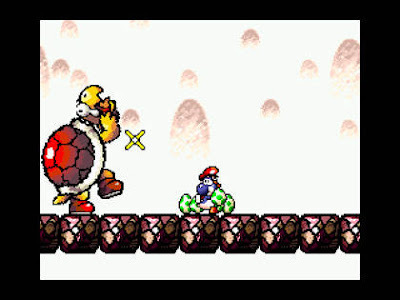 Instead of bosses like Fire Man and Toad Man, X would have take down animal Mavericks like Launch Octopus and Flame Mammoth. 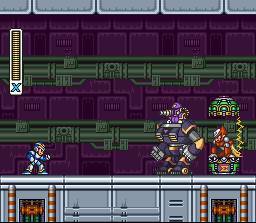 The original Mega Man X has a killer soundtrack, awesome visuals, and engaging and fast gameplay which makes it number eight on my list. 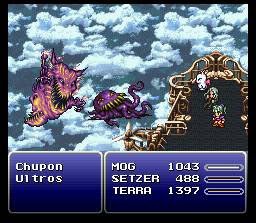 I hate using the word "epic" to describe something since the word has sort of been misused/overused by the internet, but epic is what I'd describe Final Fantasy III. There were two worlds to discover. I couldn't believe after I faced off against one of the Weapons that the game had a whole new world for me to explore and regain my lost comrades-- all of which was done by choice. 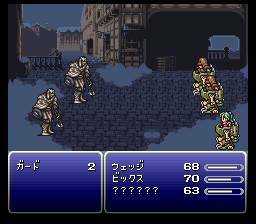 You could take on Kefka's Tower with just your four allies. That'd be insane to do, but it was possible. With the best musical soundtrack that Nobuo Uematsu ever composed, a new Magitek spell system, and beautiful 2D graphics, Final Fantasy III remains one of the great games of the series. Charm is the word I used to describe this game. The watercolor-like visuals were just that-- charming. Yoshi was finally the star, and this time he had to throw eggs at enemies, ground pound, and keep that annoying baby on his back from wetting himself. This game got severely difficult if you planned on going for 100 points each stage. How do you do this? By having 30 stars, 20 red coins, and collecting all five flowerheads. Not an easy task when they put you in the line of danger constantly, and one screw up means you have to restart the level. I triumphed over this challenge as a kid, but not without rage-quitting occasionally. We all did as children! Starting the second half of this top ten, Final Fantasy II. I enjoyed this RPG more than any other, finding all the secrets on my own as a young lad, following the incredible story, getting scared to death of being underleveled by the time I reached Mysidia, and enjoying the terrific soundtrack once again composed by the master, Nobuo Uematsu. This was the first Final Fantasy to take things into space-- on the moon, no less. Regardless, this title was the easy version of the game made for Americans who might have considered it too difficult. The Game Boy Advance port is the Japanese version with a harder difficulty. Food for thought. Called by many as the best Metroid among gamers, Super Metroid brings the heat with new powers, a massive map to explore, and sinister foes to take down. 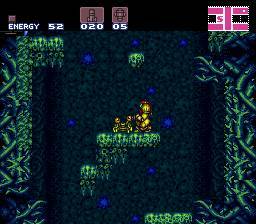 This was Metroid at its finest as you took down the four Guardians in order to make your way down to Mother Brain herself. By retrieving new items and abilities, Samus Aran, our heroine, could reach previously inaccessible areas to reach even more new items and abilities. 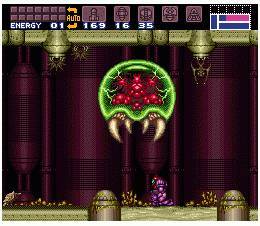 The formula works well, and possibly never better with the fantastic Super Metroid. That's why it's number four on my list. It may not feature Donkey Kong, but I enjoyed the tag team of Diddy and Dixie all the same. This game has incredible atmosphere, wonderful 16-bit music from Dave Wise among others, and secrets littered everywhere in the game's seven worlds. 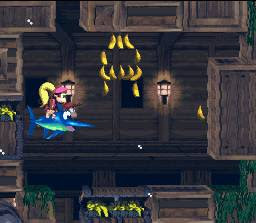 It was a bit more dark and dank than Donkey Kong Country as you were going through pirate hulls, theme parks, ghostly woods, creepy castles, and thorny mazes. 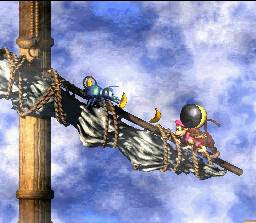 DKC 2 remains my favorite of the trilogy, and just by playing it you can see why. 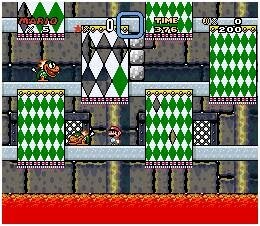 While Super Mario Bros. 3 was an evolution of the original Super Mario Bros., Super Mario World was an even bigger evolution of Super Mario Bros. 3. There was little linearity in exploring the world map as secret exits were abundant in the game. The edition of the adorable Yoshi let players ride and gulp down enemies, fly in the air, and spit out a trio of arcing fireballs. 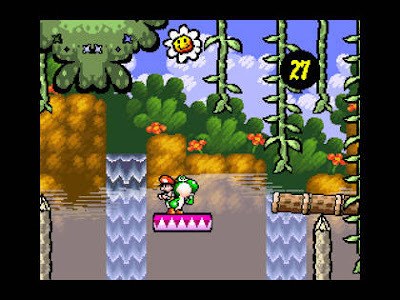 The level design is some of the best the series has ever known, and those darned dungeons held up by the classic Koopa Kids were excellent as well. 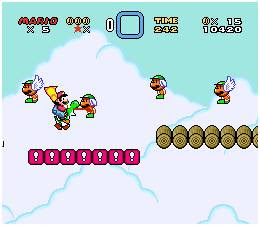 One of the best 2D platformers ever, Super Mario World deserves its praise and more. Zelda II was seen as a black sheep of the franchise. It changed the gameplay so drastically. 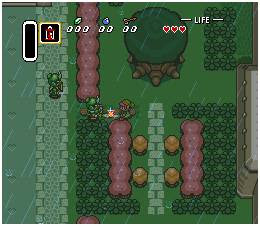 Zelda III: Triforce of the Gods (the Japanese name) was a complete evolution of the original Zelda's design. 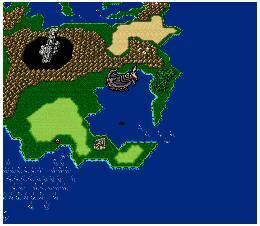 There were two expansive world maps (a light world and a dark world) for Link and players to explore, finding hidden pieces of heart, slaying massive bosses and smaller cohorts alike, and dungeons that spanned floors. These dungeons were revolutionary as they took the idea and ran with it excellently. 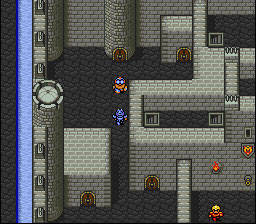 One dungeon revolved around falling through floors to reach hidden areas on another floor. This was unheard of back in the day. 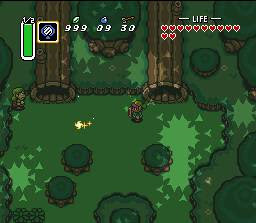 That's but one of the reasons why A Link to the Past has a link to my gamer heart. You know I left off one of your favorites, so let me know in the comments section of which of your favorites I forgot!